If you were using Google Hangouts as your SMS app and aren’t a Project Fi or Google Voice user, then yesterday was supposed to be your last day to find something else to use. Remember, SMS in Hangouts was supposed to die by May 22. Today is May 23. We haven’t seen a flood of emails into our inbox with people freaking out, so it’s tough to tell if that means most of you already ditched SMS in Hangouts for something else or it’s still working. Either way, all of Google’s documentation on SMS disappearing from Hangouts is still live and we fully expect that to have happened as late as yesterday. My wife, for example, was pushed onto another SMS app weeks ago. 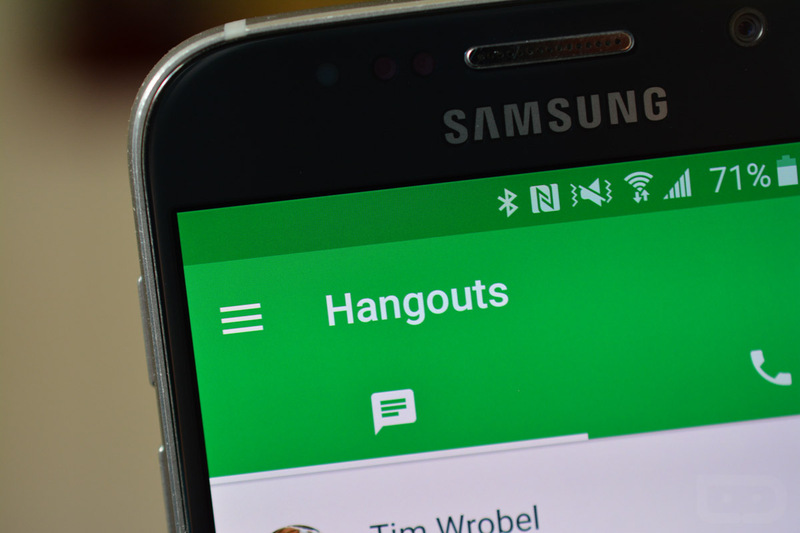 Which SMS app should you use going forward if you were using Hangouts? Well, your phone has a separate SMS app from Hangouts already on it. You could use it. No matter which phone you own, there is going to be a Messages or Text Messages or Messaging app of some sort that does texting. You could also just install Google’s Android Messages, which happens to be a really good SMS app that is built for the future. Facebook Messenger even does SMS at this point. Otherwise, there are countless SMS apps on Google Play that should do the trick. Any other SMS apps you would recommend?